NEIRG welcomes Andrew DiNuccio with an accomplished Client Service background to its growing team. 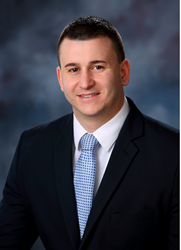 New England Investment & Retirement Group, Inc. (NEIRG) welcomes Andrew DiNuccio to our client service team. Our team members collaborate with our advisers to ensure that our clients receive concierge level support. As a client service representative for NEIRG, Andrew plays an important role in each client relationship. He is responsible for not only ensuring a smooth transition for new clients while helping existing clients with all account service requests which include deposits and withdrawals, account inquiries, and tax reporting. Andrew works very closely with the advisory team in preparing for clients meetings and the follow up thereafter. "I am thankful to join the team at NEIRG as they continue to expand to fully meet their clients needs," says Andrew. Prior to joining New England Investment & Retirement Group, Inc., Andrew held positions in Client service roles with such firms as Commonwealth Financial Group, US Bank, Investors Capital and Putnam Investments. Established in 1995 by Nick Giacoumakis, New England Investment & Retirement Group Inc. is a flourishing 14 member firm that offers investment management and financial planning services for individuals and families. Now in its 23rd year of service, the NEIRG team takes pride in providing unmatched personalized service to its clients and has utilized its collective expertise to effectively guide clients in achieving and preserving financial independence. With locations in North Andover, Massachusetts and Naples, Florida, NEIRG manages over $500 million in assets. New England Investment & Retirement Group, Inc.Founded by Nick Giacoumakis in 1995, our mission is to help our clients pursue financial independence by providing unbiased, objective guidance. We bring value through communication, education and exceptional service.